Last week whilst having my weekend browse through bloglovin’ I came across Jodie’s post, 5 Things I Wish I Did When I Started Blogging and it got me reflecting a bit on the last five years, and what i’ve learnt a long the way. I really loved reading Jodie’s post and I’ve wanted to do a similar post for a while now, so I thought i’d discuss the things I wish I did back then, that is just a must now to hopefully help newer bloggers out there. Just like most bloggers, when you first start out blogging you kind of have no idea where to begin or what to do, and I wish I knew then what I know now. For me SEO is something that i’m still very new to, all thanks to my recent move over to WordPress as it guides you through SEO on every post you ever write, and it essentially tells you whether the SEO is good or bad and ways to improve it. Now like I say SEO is something that is still very alien to me and although i’ve been blogging for five years, it’s something that i’ve never really understood the importance of. Obviously everyone hears about it, but unless you really do your research it’s a thing I don’t think you’ll ever full understand. Having said that, i’m looking forward to seeing what SEO will bring to my blog and posts since moving over to WordPress and if I do come across any tips, i’ll of course share them with you. A post that I read recently that I found really useful in terms of understanding DA and SEO was from The Hels Project, and if like me you’re all a bit new to SEO then i’d really recommend giving that a read! The other week I was looking back at my old blog photos and although the majority aren’t horrendous, I do wish that I cared a little more to make them look better sooner. Having said that, I didn’t really understand cameras, or lighting or any of the stuff that kind of comes natural to me now, and I am really thankful for the learning that has come over the years. If I were to do one thing different, it would definitely be my photos, and I would consider lighting, backgrounds and props but I am proud to say that I love how my photography now looks and i’m finally at a place where I am truly happy with it. 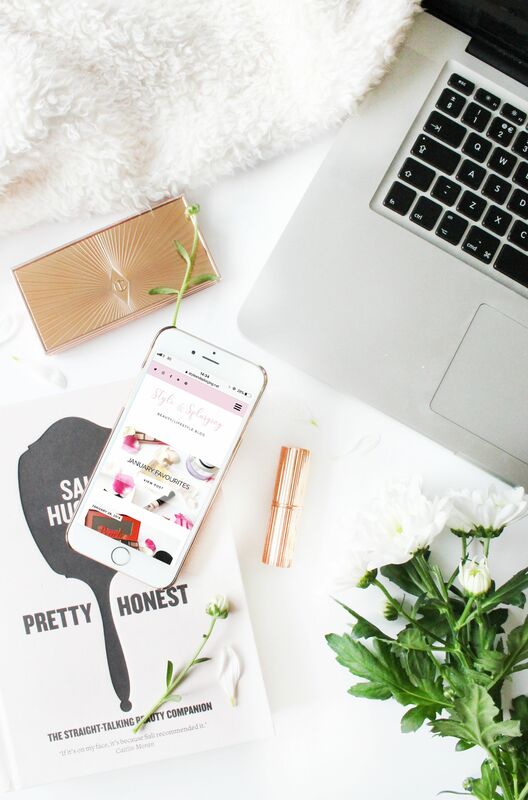 Back when I started blogging Instagram and Twitter aren’t what they used to be, for me anyway, and I didn’t really know anything about sharing content on social media and how it would help to get your blog recognised. Having said that, I did soon start following bloggers on what is now my private personal Twitter and after a few months of annoying my friends with my constant tweets I set up a Twitter purely dedicated to my blog. My Instagram however, this didn’t change over for a long time and that has got to me my biggest regret, as my now Instagram was my personal Instagram and i’ve since deleted a lot of images that held a lot of memories but that’s my fault, and i’ve since set up a personal Instagram. Any who, off on a right tangent there – the one thing I would say to any new blogger, it is to make sure you sign up to the majority of social media platforms and share your content as much as you can! Just like every blogger out there, i’m sure that first ever email you received for your first collaboration still sticks with you. If i’m honest I can’t remember mine, however I do remember my first every sponsored post was about shaving your legs and I got paid £90 for it, which looking back was really good but since going into full time work, sponsored posts are a thing of the past. However I definitely have taken some opportunities that I wish I hadn’t as they were more hassle than they were worth, and just because you’re being sent free things doesn’t mean it’s always right. Don’t get me wrong, when I first started blogging I loved it but I also didn’t really know what I was doing and I was kind of embarrassed of it, so I didn’t really tell anyone about it, not even my Mum. Looking back now I wish I had just been honest about it and shared it more with people, instead of caring about what they thought as it kind of sucked all the enjoyment out of it for me. What do you wish you had done differently when you started blogging?